The mud causes sweating, and proponents claim that mud baths can slim and tone the body, hydrate or firm the skin, or relax and soothe the muscles. It is alleged that some mud baths are able to relieve tired and aching joints, ease inflammation, or help to "flush out toxins" through sweating. 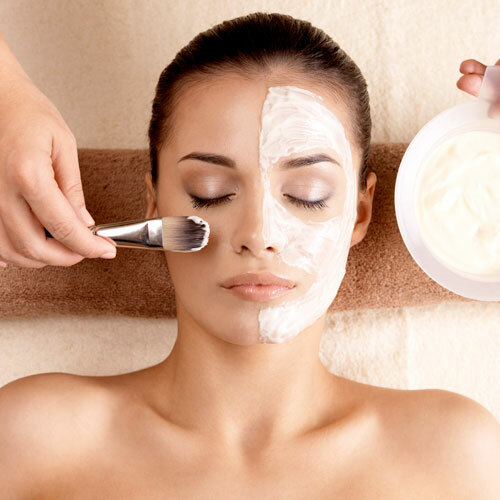 For healthy toned skin that is silky and soft to touch an exfoliation is a must do treatment. 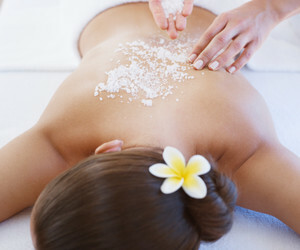 Using a sugar based milk and honey body scrub, the body is exfoliated to remove the top layer of dead epidermal cells. Your skin will appear smoother and more radiant. After a warm shower to remove the scrub, a relaxing moisturiser is applied to the skin to lock in the moisture and restore your skins natural glow. Add this treatment to any massage and all the advantages are increased three fold. The M-6638 Crystal Peeling is an effective method in skin rejuvenation. This method is a dry exfoliation method that is safe to use on the facial area. This treatment helps to normalise the skin, unclog pores and shed dry and damaged skin cells from the surface of the skin. This treatment creates the appearance of smoother, softer, firmer and younger looking skin tones. Can also be used to reduce pigmentation, sun spots, skin imperfections and minor scarring. This treatment can be added to any other facial treatment we offer. Gelish MINI Soak Off Gel Nail Polish is a unique formula that lasts up to 14 days on natural nails and the application out performs other Soak Off Gel Polishes. Excellent coverage with quick and accurate cure times, and an easy removal process. The paraffin wax is often scented with soothing essential oils. After being applied, the wax will be covered in a plastic, wrapped in hot mittens and you can relax as the benefits kick in. The wax will trap the heat against your skin opening the pores. Once the wax is completely cooled it will be pulled away, taking dead skin cells along with it. After being applied, the wax will be covered in a plastic, wrapped in hot mittens and you can relax as the benefits kick in. The wax will trap the heat against your skin opening the pores. Once the wax is completely cooled it will be pulled away, taking dead skin cells along with it..
*Mini – Me Individual Bookings require min of 1 adult to accompany who books a min of 1 treatment, for themselves, in a sharing room. *No children under the age of 16yrs of age are permitted to use the spa and its facilities unaccompanied by an adult at all times. **No children under the age of 12 years of age are permitted to use the sauna, Jacuzzi’s or spa pools. *Use of spa facilities, catering and refreshments are not included unless otherwise stated in package. *All prices are quoted per person. Packages are valid for 1 person only and treatments cannot be shared. * No food or beverage is included in prices unless otherwise specified. * Standard Terms, Conditions & Spa Policies apply. * Bookings are subject to availability. Full payment is required prior to booking date. * Group Mini-Me Bookings require 1 adult per group of 5 Mini-Me’s and to be on site at all times with the Mini-Me group. ** Group bookings are to respect the request to keep noise levels down, in all areas of the spa so as not to inconvenience other spa patrons. The Rasul of Aah treatment is a unique Arabic ritual that incorporates the four fundamental elements of earth, water, fire and air. 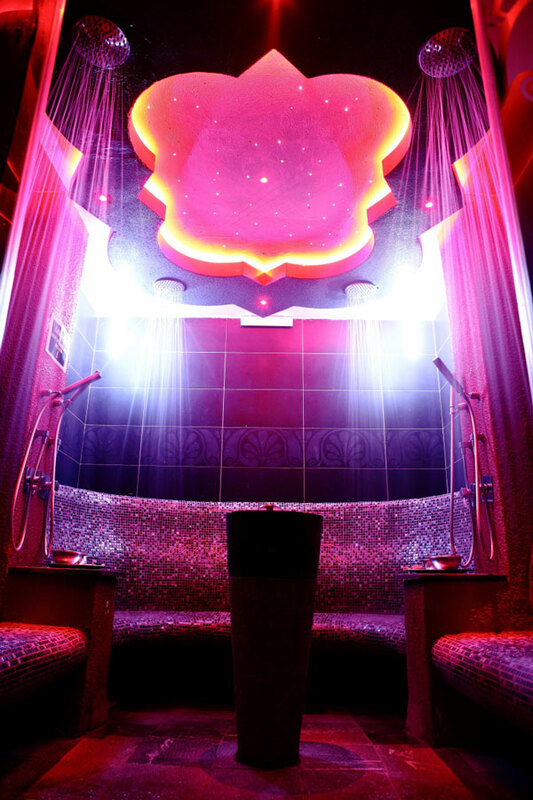 The experience is designed to entertain all your senses which will leave you feeling naturally refreshed and revived. The treatment begins with a body exfoliation and thereafter nutrient rich mud is applied to the skin. Once you are comfortable, a warm mist is introduced for ±20 minutes to further relax the body. This process is followed by a warm shower to wash the mud from the body. Upon leaving the Rasul of Aah, body butter is applied to the skin to seal in all the goodness and to leave your skin feeling nourished. You are left feeling rejuvenated and relaxed with a gloriously glowing skin. Using a sugar based milk and honey body scrub, the body is exfoliated to remove the top layer of dead epidermal cells. After a warm shower to remove the scrub, the body is wrapped in a milk and honey body butter and silk wrap for 20mins, and during this time, a scalp massage will be administered. A full body milk and honey massage completes the royal experience. There are many physiological, structural, and psychological changes occurring daily when you’re pregnant, and many growing pains that accompany this include increased weight, hormonal changes, and ever increasing dropping of the pelvis. Massage therapy can provide significant relief from all those aches and growing pains. The Swedish massage is the most common massage treatment and refers to various techniques used to relax the muscles by applying pressure to them against deeper muscles and bones. The main purpose of the Swedish massage is to improve oxygen flow in the blood and expel toxins from the muscle tissue. Benefits may include: Stress and tension relief, improved mobility, improved circulation, increased flexibility, and general relaxation and overall well being. Indian Head Massage is a massage technique that consists of thorough rubbing of the areas that are around your head. The purpose of it is to decrease the tension that is gathered in your body. The roots of this massage are in the Ayurvedic healing system. A type of massage therapy that uses firm pressure and slow strokes to reach deeper layers of muscle and fascia (the connective tissue surrounding muscles). It's used for chronic aches and pain and contracted areas such as a stiff neck and upper back, low back pain, leg muscle tightness, and sore shoulders. The back, neck and shoulders are areas of the body that are most prone to stiffness and tension. This massage is primarily used to relieve tension and stress in these areas but also to restore a feeling of comfort and relaxation in the body. Benefits may include: Stress and tension relief, improved mobility, improved circulation and general relaxation.